Link: Lawyers Want More Time, Less Stress, Not More Money | ABA Journal - Law News Now. Let's face it. Lawyering is stressful. If you don't have anxiety, stress, or some sleepless nights, you aren't a lawyer. We face deadline pressure every day, and have to deal with people at the worst times of their lives. 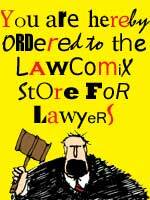 Modern law practice is a jumble of regulation, deadlines, and complex issues. So, it is not surprising that this survey found that a majority of lawyers would rather have more life balance and less stress, and that money was only a concern with 2% of them. Solo practice will certainly result in less money. But, will it create less stress? Maybe, maybe not. However, you will certainly have more control over your life, and you can create a work-life balance that suits you.